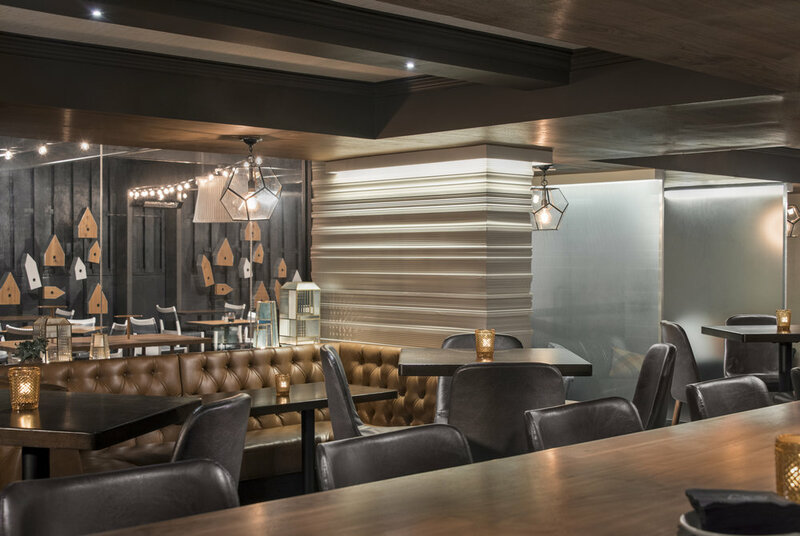 GrizForm teamed up with Kimpton Hotels & Restaurants to bring Radiator, a culinary-focused cocktail bar and neighborhood gathering place, to the capitol. 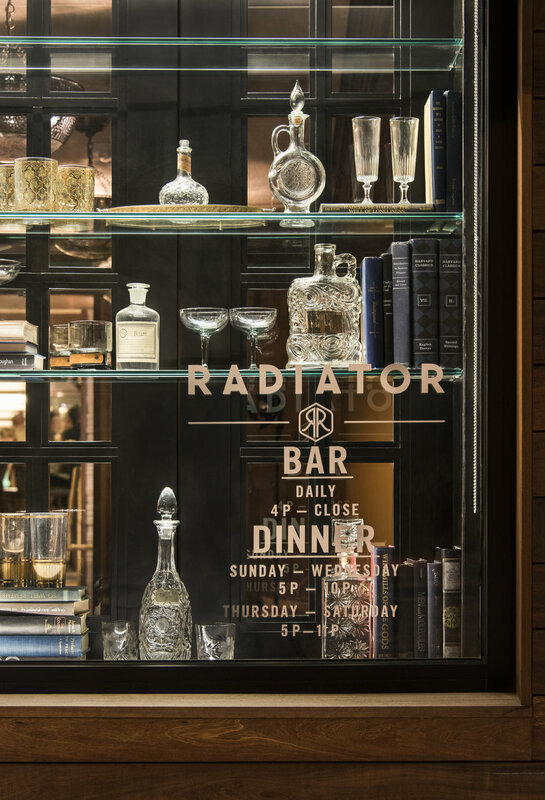 Adjacent to the new Mason & Rook Hotel off of the 14th Street corridor, Radiator offers rustic dishes, off-the-beaten path spirits and a design that pays homage to the area’s rich automotive past (the street was once home to many mid-20th century car dealerships and auto repair shops). 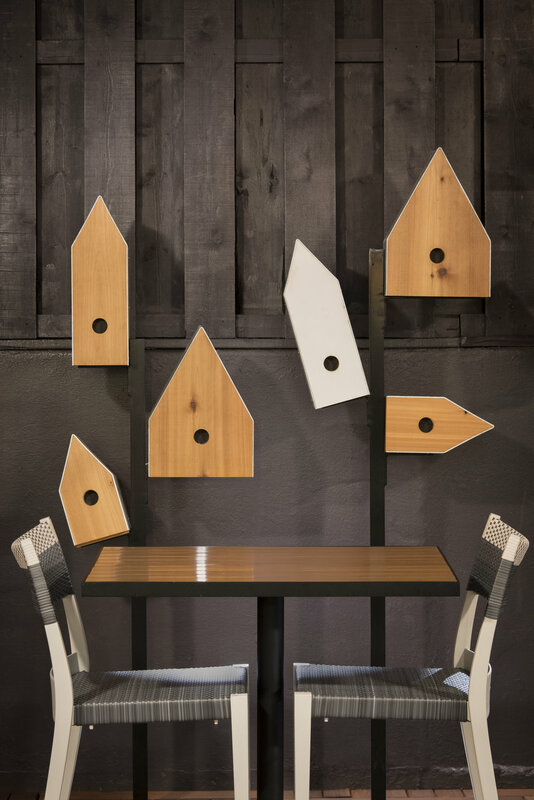 The neighborhood's unique history is infused throughout—think garage door-inspired walls, checkerboard floors, vintage car parts on display, and industrial accents. 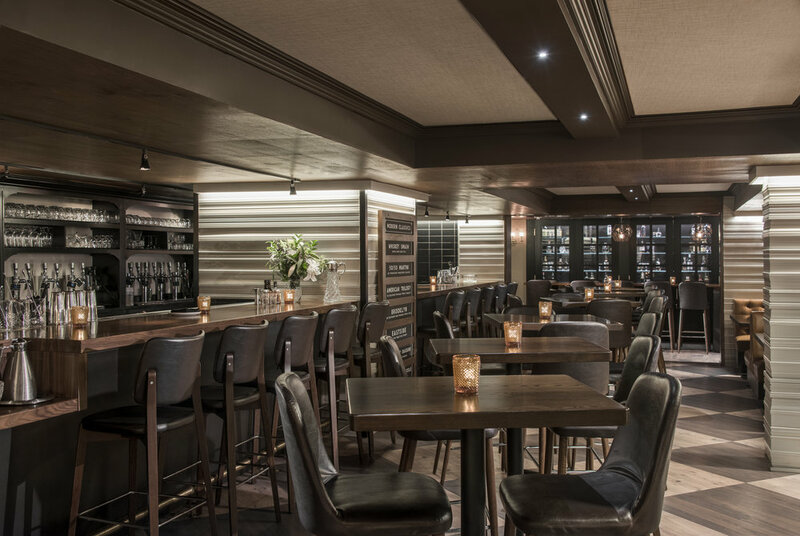 The cocktail bar offers a large, 57-seat bar area that includes a communal table and a comfortable lounge area decked out in rich woods and leather, and a 23-seat lounge spot features several nooks where small groups can gather. 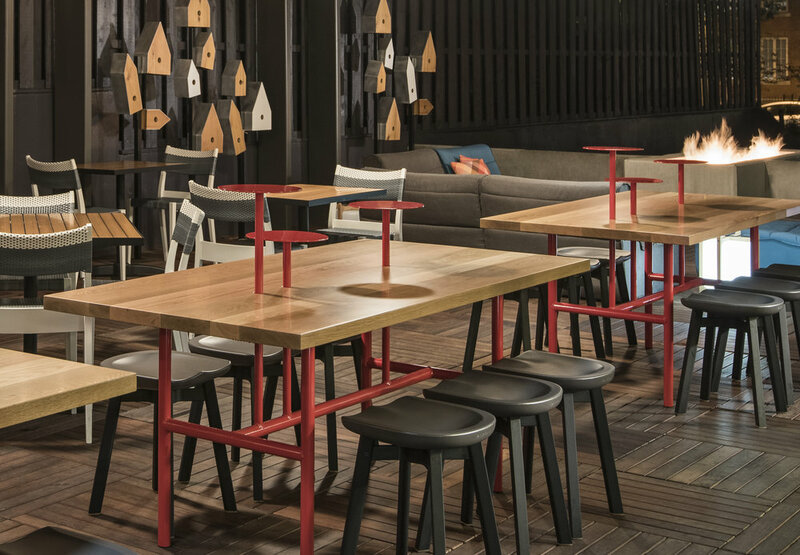 The space is also outfitted with playful diversions and games, such as backgammon, dominoes, checkers and chess. During warmer months, guests can enjoy an outdoor patio with a large fire pit and a shuffleboard court under a retractable mesh overhang.